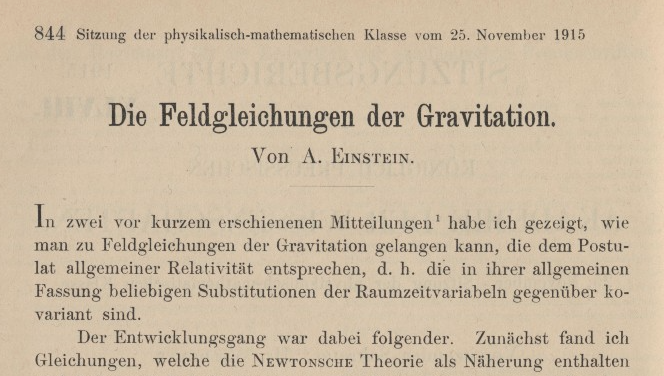 This entry was posted on November 25, 2015 at 8:59 am and is filed under History, The Universe and Stuff with tags Einstein, general relativity. You can follow any responses to this entry through the RSS 2.0 feed. You can leave a response, or trackback from your own site. Probably the greatest creative piece of work in theoretical physics to date. Let me simultaneously blow my own horn and that of Pedro by mentioning my review of his book about GR, The Perfect Theory, for The Observatory. tl;dr: recommended! One of the main GR conferences (usually held every two years) is the Texas Symposium on Relativistic Astrophysics, so called because the first one was in Texas, organized by, among others, Wolfgang Rindler. This was 1963. Most television was black and white, the Beatles weren’t that big yet, and I wasn’t even born. 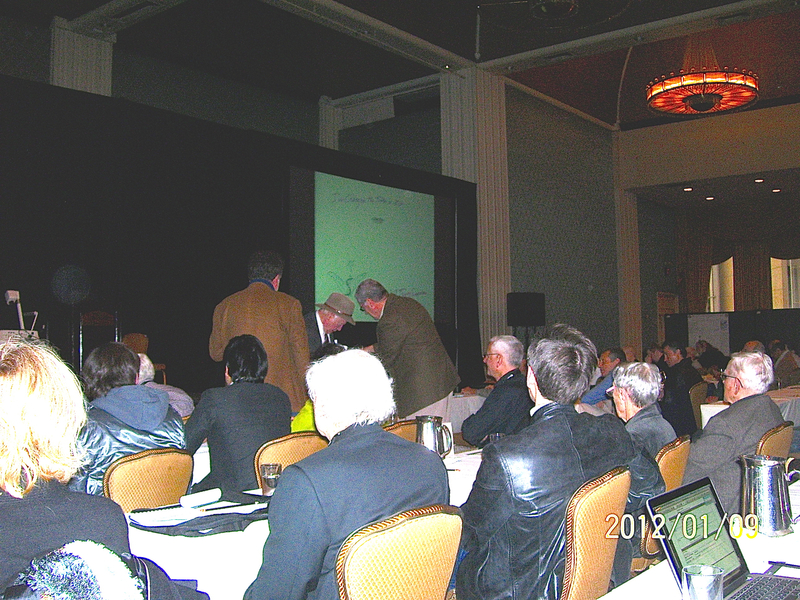 The 50th anniversary symposium in 2013, again in Dallas, was, of course, among many other things (one of the attractions of the Texas Symposia in general is the large range of topics), retrospective with respect to its own history, but also with respect to 100 years of GR (depending on which date one picks). The next one is in December in Geneva (where I’m giving a talk) and of course to some extent is also influenced by 100 years of GR, though in general probably less retrospective than the one in 2013, though still special (geddit?!). The 50th Texas Symposium was also organized by Wolfgang Rindler, 89 at the time, who was in surprisingly good form (even driving Rocky Kolb to the venue for the public talk). Amazing to think that he was only about 10 years younger than I am now when he came to Dallas back in the day. Of personal interest to me were Ted Newman’s remarks. Additionally, he also gives a good impression of the joys of working in this field. tl;dr: Watch all the videos above! With regard to the STFC video, I really liked the last part. Initially, I was a bit let down when the narrator said that physicists will party if GR succeeded, but then was very happy when he said that they will also party otherwise. Even if the video fails to make basic tenets of GR understandable to the lay public, I hope at least the last part makes up for it as a takeaway: that science, not just GR, is exciting regardless of which way the results go. It is worth reminding ourselves that World War I had been under way for 16 months at that time, with Prussia dominating the other German States. The Western Front was firmly stalemated into trenches and there was more action on the eastern and southern fronts, while Gallipolli was being evacuated of Allied soldiers as a failure. The next year would see the slaughter at Verdun, to which even the Somme was intended as a diversion. At the Geneva meeting, there is actually a talk scheduled entitled Lest We Forget. Phillip, I was at the same Texas meeting in Dallas. So, what progress since in the fundamentals of physics on the largest scales? Today I’d opt for gravity as a gauge theory governed by two gauge fields obeying first order differential equations (not the metric which obeys 2nd order ones). In the very transparent Cambridge formulation which expresses the theory using Clifford algebra the result predicts identically to GR in all tests run to date, but predicts differently where there is a nonzero fermion density. Also, hare any generalisations of GR proved valuable? None that I am aware of, apart from the cosmological constant of which Einstein himself was (notoriously!) already aware. Regarding history-of-GR books discussed above, I would like to add a large plug for “Einstein’s Jury: the race to test relativity” by Jeffrey Crelinsten. This tells the story of observational astronomy GR tests between about 1910-1930, and it makes it very clear that the famous Eddington 1919 eclipse result was not really decisive at the time; there was a much better eclipse measurement from Trumpler & Campbell in the mid-1920s, which is now largely forgotten. There’s also a lot about attempts to measure gravitational redshift from the Sun and Sirius B, which were controversial for a long time. The book is superbly written, has fascinating detail on the personal battles e.g. East-vs-West coast animosities, and elderly traditionalists clinging to Newtonian ideas; it is well referenced and overall excellent. Probably requires undergraduate-level science background to get the most out of it, but not an advanced astronomy degree.